← I am the Trail Groove Contest Winner! In a recent book order that my wife and I placed, I picked up this book 46 Days (Keeping up with Jennifer Pharr Davis on the Appalachian Trail). I have my own desire to thru hike the Appalachian Trail someday, so I naturally enjoy reading others accounts of doing the same to fill the time. And even though I don’t plan to set any speed records like Jennifer Pharr Davis has done, I was very excited to read this book! This book is not a record of Jennifer’s first AT thru hike (check out Becoming Odyssa for that adventure) or even her second thru hike for that matter (in which she claimed the women’s record holder for the fastest thru hike ~ a very impressive 57 days and 8 hours). Instead, 46 Days follow’s Jennifer on her third AT thru hike in which she attempts to break the current supported AT thru hike speed record. Prior to Jennifer’s attempt, the fastest supported thru hike along the Appalachian Trail was set by Andrew Thompson in 2005 in which he completed the trail in 47 days, 13 hours and 31 minutes. There is no “official” prize, or even a trophy to be won for hiking the Appalachian Trail the fastest, however, amongst other hikers, this is definitely a well-respected title to achieve. Not to mention the personal satisfaction that accomplishing such a magnificent feat would provide. And just as the title of this book hints at, Jennifer earned both the (“unofficial”) title and the personal satisfaction when she shattered Andrew’s previous speed record by over 24 hours! With the support of her husband, Brew, and the “pit-crew”, Jennifer finished her third Appalachian Trail thru hike in 46 days, 11 hours and 20 minutes! Jennifer’s secret was to start early, finish late and to push through any obstacles the best that she could. She hiked anywhere between 30 to 60 miles per day, and needless to say, she obviously took zero “Zero Days.” She averaged between 3 – 3.5 mph while on the trail, so not only did she set a new speed record, but she also got to enjoy the scenery along the way! 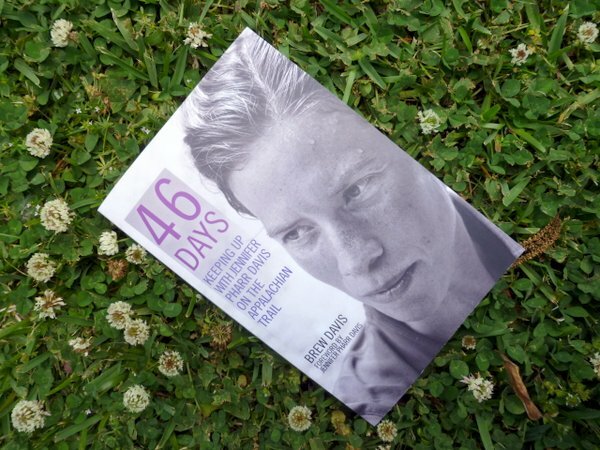 46 Days was written by Jennifer’s husband, Brew Davis. 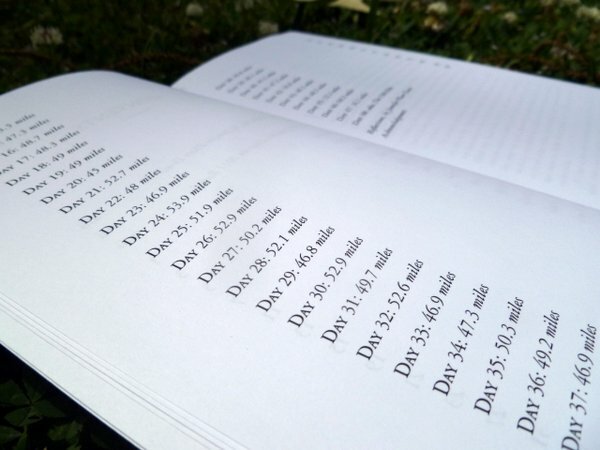 The book is essentially a collection of short journal entries from each day Jennifer spent on the trail during her record attempt. The book easily succeeds in telling the story of “their” successful thru hike record attempt, as well as a love story. Day-by-day we follow Brew and the pit-crew hustling from road crossing to road crossing so that he can be there for his wife, to support her in which ever way he possibly can. Whether that be by supplying her with “restaurant” food, or getting her to an occasional shower. Not only does this book transfer the details of some of Jennifer’s day-to-day hike well, but it also displays an act of love and companionship that runs deep between 2 people even more. This entry was posted in Books and tagged 46 Days, Andrew Thompson, Appalachian Trail, Backpacking, Becoming Odyssa, Book Review, Books, Hiking, Jennifer Pharr Davis, Love, Speed Record, Thru Hike. Bookmark the permalink. You should also check out “Wild” by Cheryl Strayed, which is about the author’s hike on the PCT a few years ago. Of all the long distance hiking books I have read, this one is the most elegantly written. It is currently #8 on the NY Times Nonfiction bestseller list. Thanks for the suggestion. I have actually been wanting to read some books on the trails out west. I will add this one to my book list!